Candice has been created using a variety of super soft plush fabrics in various colours of apricots, browns, greys and creams. She is fully jointed and has chunky paws with additional sculptured paw pad detailing. 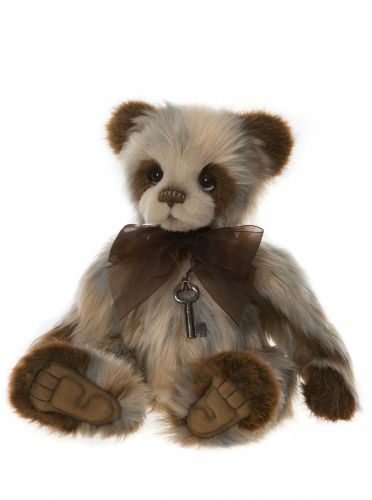 She has teardrop markings and our signature Charlie bears “who me?” look which gives her a really soulful expression. She has a tiny hand stitched nose created using a chocolate coloured embroidery thread which has been overstitched with an additional cream thread and her accessory is a colour coordinated necklace with a key to your heart pendant.